Independent perfumer Dawn Spencer Hurwitz has just launched La Belle Saison ("The Beautiful Season"), an all-botanical fragrance designed to evoke "late Spring in full bloom." More specifically, it's an ode to lilac. Are we experiencing a lilac mini-trend? Vilhelm Parfumerie and Amouage are also offering lilac perfumes for Spring 2016. I haven't tried those, but I've been spending a few April days with La Belle Saison. La Belle Saison includes "a bright dewy opening that quiets down to a soft skin scent, eventually landing at the soft acacia honey, heliotrope, and ambrette in the drydown." Additional notes include anise, bergamot, neroli, anise, violet leaf, jasmine, styrax and sandalwood. Dawn Spencer Hurwitz already has a lilac fragrance named White Lilac, but La Belle Saison is different because a) it's all-natural and b) it's a more "impressionistic" lilac, suggesting the fleeting sensory effects of a garden walk rather than faithfully replicating the scent of one lilac flower. My all-time favorite lilac fragrance is Frederic Malle En Passant, which is impressionist in its own way, merging the scent of lilac with watery notes and a hint of wheat, as though you were passing a florist shop and a bakery on the same rain-washed Parisian street. La Belle Saison initially reminded me of En Passant, due to its cucumber-y top note, but that note is just a short introduction. The perfume's lilac heart is skillfully composed from other ingredients (since fragrance can not actually be extracted from lilac flowers), and it's soft and lightly spicy rather than soapy, like so many lilac scents can be. 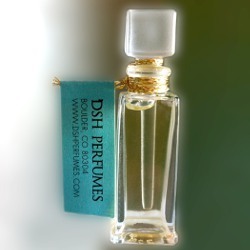 The spicy facet reminds me a little bit of carnations, another of my favorite floral notes for perfume, but I think it's a result of the juxtaposed jasmine and styrax. La Belle Saison's base notes add sweetness to the garden-floral heart; the honey is the most noticeable, and I happen to love honey notes in perfume, so this makes me even happier. The ambrette acts as a soft skin-musk note to prolong the dry down, and this perfume has very good staying power for a botanical fragrance. As one of my friends once joked, my "beat" at Now Smell This is often the "pretty floral" category, and La Belle Saison is definitely a pretty floral, even a beautiful one. Even if you're not sure how you feel about lilac, as long as you're a lover of floral perfumes, you may want to give it a try. It feels classical but not stuffy, and it really does have a springtime sensibility. La Belle Saison is currently offered as a limited edition, although (according to Hurwitz) it may be added to the line's regular collections, depending on the availability of its natural materials. Dawn Spencer Hurwitz La Belle Saison is available as 5 ml ($130) and 15 ml ($330) perfume extract in antique presentation bottles. Samples are also available. For more information, see the Dawn Spencer Hurwitz website. Note: top image is Lilacs [cropped] by cbransto at flickr; some rights reserved. This sounds so good, but the price, oh lord, the price! I know!! Sorry about that. It is my fondest wish that one of these years I can take a nice trip to Boulder and spend like 3 or 4 days sniffing my way through her collection! Your review only makes me want it more! Ooh. Let’s make it a road trip! I wore En Passant to my civil wedding ceremony in Germany. It was late April, and the lilacs were in bloom everywhere. La Belle Saison sounds beautiful, and I would love to smell how DSH managed to conjure lilacs with natural materials. I suppose that’s what perfumers in the 19th century (pre-synthetics) had to do to make a lilac perfume, so it would be an interesting historical exercise, too. Beautiful memory, beautiful choice! And you’re right — this perfume is “retro” in the truest sense. This costs almost twice what I paid for Roja Dove Lilac extrait, and I got 50ml of the Roja. Who is her market?? A very specific customer, I’d guess — someone who likes supporting independent artisans, who wears classical florals and prefers all-natural compositions, and who can afford limited-edition prices. 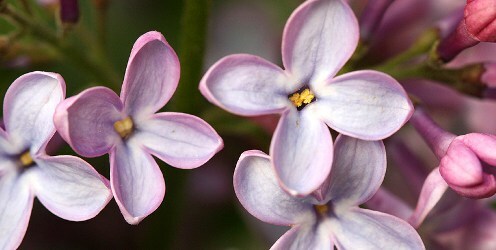 I own and enjoy White Lilac, and I’m quite sure I’d love this one too… but (as everybody else has said) oh, the price. I don’t think I’ll even sample.